Anyone interested in sleek, smooth hair with amazing shine? We thought so! 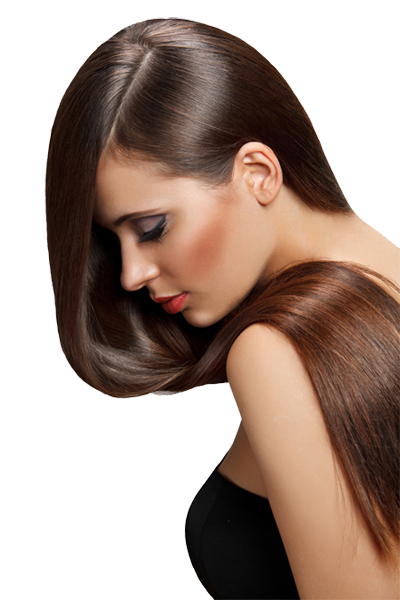 Our amazing GK Hair Taming service is the best keratin treatment in New Orleans, and able to completely transform the texture of your hair. If you are tired of battling frizzy and unmanageable hair each day, this effective smoothing treatment is the solution that you have been longing for! GK’s Hair Taming System will rejuvenate your tresses while straightening and strengthening every strand for up to 5 months. Our keratin treatments reduce the stiffness in your hair with a special formula that removes frizz and natural curl and makes your hair feel softer. The secret ingredient Juvexin, a special blend of proteins and peptides that penetrate throughout the hair shaft delivering important conditioning and moisturizing benefits. This improves the softness and reduces friction enabling your hair to better withstand heat, making it less prone to breakage, and giving it better manageability. On both wet and dry hair there is less entanglement during brushing. Juvexin essentially restores your hair back to its youthful state, giving the same properties found in young, healthy and vibrant hair which are usually lost over time. Best of all, you can relax knowing that there is nothing artificial and no harsh chemicals are used. This is one major difference that sets GK apart from other keratin treatments. All of the ingredients in the GK formula are designed to promote smooth, healthy, vibrant hair without formaldehyde or other unwanted chemicals.